Royal Enfield to the outsiders and cynics is a company from another time. Their bikes really haven't changed in any drastic fashion for years, they say. This isn't strictly true, of course. It seems facile to say converting a cast iron block to aluminium or integrating the gearbox is easy; these are significant engineering efforts. 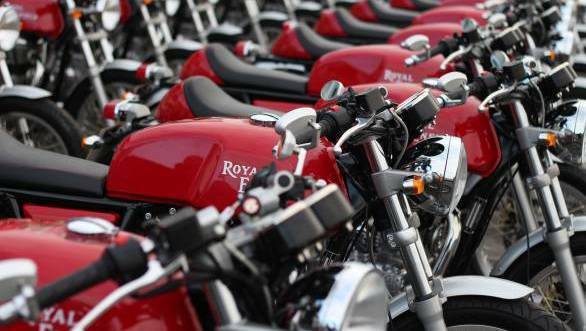 Royal Enfield as we know it has never undertaken and executed a project of this magnitude. 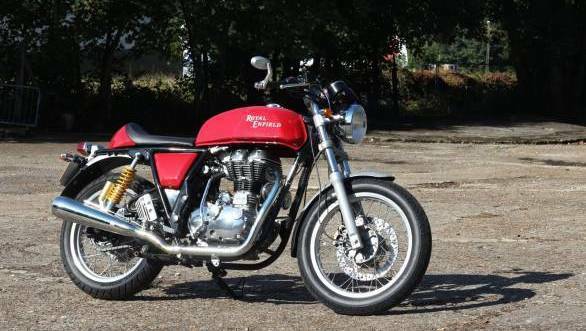 Welcome to the Royal Enfield Continental GT. And I'll up and end the suspense right here. This is, based on the first ride, the best Royal Enfield motorcycle I have ridden in the last 13 years of road testing. Want more details? Right this way, sir. When I met Siddartha Lal, the CEO Eicher Motors the last time around, the question was now that RE had settled into a nice groove with buoyant sales, what direction would the products take. What he said was simple, "We have a heritage and we think our products should reflect what the company would be making today had it been in existence all this time." That is dramatically different from Triumph who have successfully revamped their product lines and image, and still have a few products that talk directly to their heritage. The Continental GT, then, is a clearest indication of what it is to come. And yes, despite the economic gloom, we live in exciting times. The Continental GT as you know has had inputs from Harris Engineering; yes that Harris and it shows. But for now, I'm going to talk more about the feel and sensations rather than the technicals. For two reasons: first, I think technology is only worth the benefits it brings so the sensations are more vital than the tech. And two, since the actual launch event hasn't happened as I write this, and because I've spent all day riding the bike and haven't really had time to delve into the technical details so far. I'll circle back to the tech low- down once I have more documentation and information, hopefully later today. It is a great looking motorcycle. 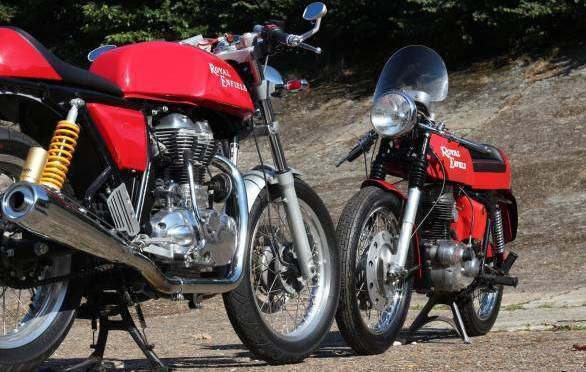 We got to see it parked head to head with a genuine old RE GT, and it looked absolutely spot-on as a faithful, modern-day homage to that motorcycle as well as to the Cafe Racer format. Build quality and paint finish looked excellent. The finish levels can still be improved a bit, but as the new flagship for the brand, the Continental GT does the business. Even when you look at the details the sheen doesn't fade. The tank looks long and lean, the bar-end mirrors looks rather well-made. All the bits look like someone paid attention to them. It is a bit sad that the bar-end mirrors are OE equipment everywhere but India. Back home we will get normal stalk mounted mirrors and the bar-ends will be an optional accessory. I suspect this has to do with regulatory issues in India, and I'll confirm this. There are a few rough edges here and there, but you really have to nitpick and split hairs before you spot them. On the move, the motorcycle feels easily like the best breathing Royal Enfield I've ridden yet. Acceleration is urgent though not shattering, and up to about 90-100kmph, vibration is well-controlled too. At about 120kmph though, the vibes kick in properly and sustained 120kmph cruising is going to be arduous. Our Aussie media friends at the launch enthusiastically saw 145kmph on the speedo, so it is fast. Through all this punishment, the engine feels nicely sorted rather than a clattery mess which is a huge step forward. In short, the journalists looking for oil leaks - they said it was simply because they know their Bullets - were happy to be disappointed. The bikes, despite the caning, never missed a beat. My bike initially did have a bit of a stalling issue in traffic though, which was diagnosed as a badly set idle. And once set, it never recurred. As in promising, promising, promising. I can't wait to see the numbers when we test this. Ride quality similarly feels vastly more sorted. It still feels like a heavy-boned motorcycle, but it has gained a sporty sort of damping without becoming harsh. On long drones, in fact, the bumps bother you a bit less than the seat, which is a welcome improvement. Handling, similarly, is more precise by a fair bit. You still feel the heft and length but turn in is more assured, mid-corner stability is good and there is a sense of accuracy that is much better than any Enfield so far. It hasn't become a race bike or a full on sportsbike, but then again, that isn't the nature of the Cafe Racer. The Cafe Racer format is visually very interesting but is also going to be the crux of the matter when you start trying to decide whether to get a Continental GT for your garage or not. You see, the handlebars aren't all that far away but they are low. Add in rearset pegs and you have a fairly committed, canted forward riding position. Most of you are going to end up riding with your elbows locked as a result, but this isn't a super comfortable motorcycle and short trips are going to be the order of the day. This is no surprise. 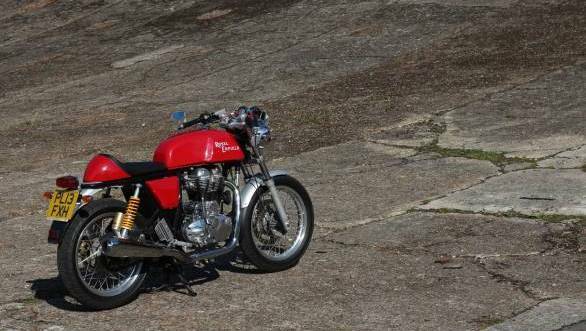 The '60s Cafe Racers weren't endurance kings, they were the fastest cafe hopping device possible at the time. So will the GT go touring? Not unless you change a few this first or you're super fit and don't mind an ache or two. In this sense, it is true to its role and image, and I'm honest enough to notice the long distance discomfort but not cynical enough to say that Royal Enfield should have fixed this. The Continental GT talks a pretty well-defined design language and certain things sound best in the native tongue rather than translated. The ergonomics of the Cafe Racer is one of those things. Best Enfield ever? I've no doubt. Given where the company has come from, the Continental GT is an achievement. It shows that they are now willing to be brave and try new things. And their efforts have, clearly borne fruit. 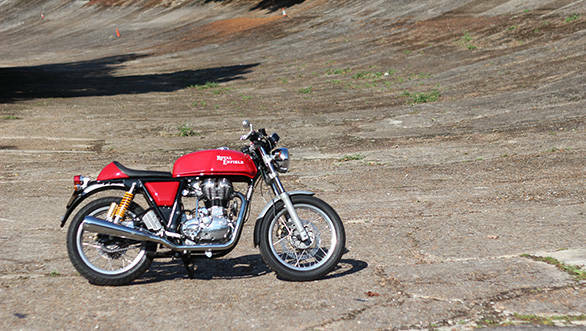 On the other hand, India is one of the few countries where there are customers who choose Enfields as a product without really giving credit or consideration to its history, and indeed to the nature and circumstance of the Cafe Racer. 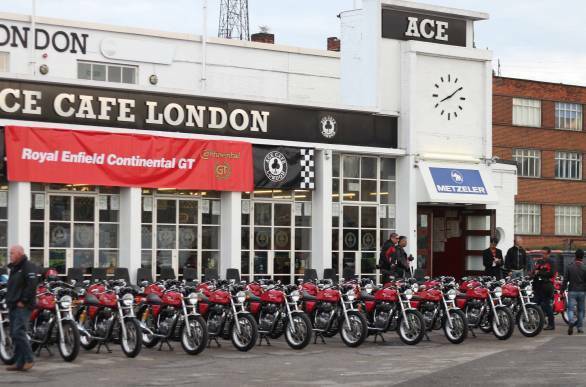 These customers will find that there are competitively priced modern motorcycles that outperform the Continental GT on most, if not all, objective parameters. In short, Enfield fans will love it and non-Enfield fans may or may not. The full picture will emerge over time. What is clear is that we have here one of the best looking motorcycles to go on sale in India in a historic, evocative perspective. And the best Enfield motorcycle so far. 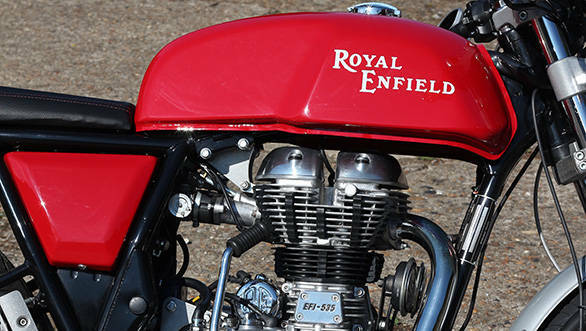 I think that means, Royal Enfield's done what they set out to do with the bike. The remaining question is the matter of price. While the UK and some other market prices are expected shortly, we suspect that the Indian prices will only come at the commercial Indian launch, which should happen roughly a month or so from now. Stay tuned.